You may have heard that it’s possible to sell gold coins or jewelry for meltdown purposes—and make a tidy profit off items that have just been sitting in your home collecting dust. This is definitely true, even with gold’s current low prices. But the real question is where to sell gold jewelry. Going to the right place can have a big impact on the cash you end up putting in your pocket, so below is a comparison to help you decide. A gold party is like a Tupperware party, where part of what you’re getting is an opportunity to socialize. The tradeoff is you’ll likely get only 50% of what your gold is actually worth, since the company and the party host will both get a cut. You may have seen ads on TV telling you that a few gold buyers will be in town for one day only, and you can bring your jewelry to a hotel ballroom to make a mint in only a few minutes. The downside of this venue is that the limited time can lead to pressure, encouraging you to sell without comparison shopping. One of the options of where to sell gold jewelry is right in your own home. These operations provide you the ultimate in convenience: You just pop your jewelry in a prepaid mailer and wait for a check. 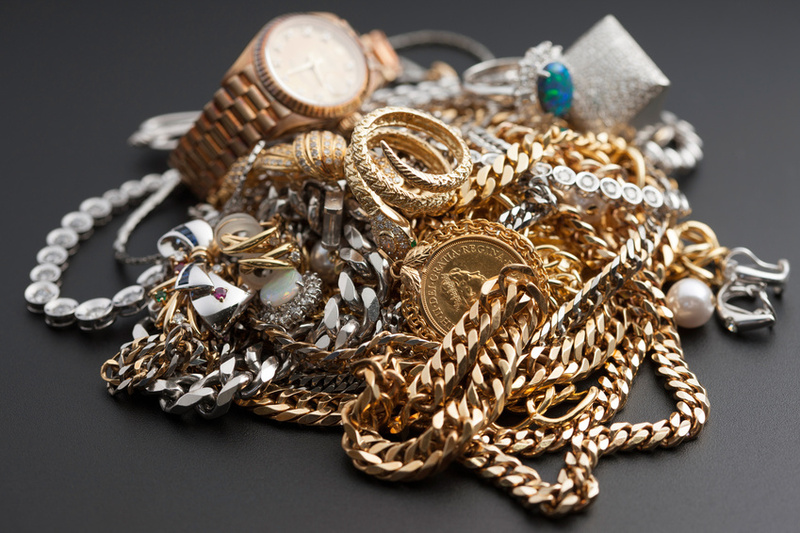 However, you forfeit a lot of profit in return for ease; Consumer Reports tested the method and found that sellers get only 11% to 29% of the gold’s scrap value. Dedicated shops are probably the best place to sell gold if profit is your top priority. These stores often net you up to 70% of the gold’s value, which is a pretty good offer since these shops still need to pay to have the jewelry melted down. Before you go anywhere to sell your gold, remember to do a little research on gold prices and how the industry works. Gold jewelry is bought and sold based on its purity, or weight, which is indicated in karats (normally marked on the inside of a ring or bracelet). Knowing how to sell gold jewelry for the best profit includes not only going to the right place, but also understanding what a fair price is for the quality of jewelry you’re looking to sell. Helpful sites.